This time it's official. Voyager 1 is in interstellar space. It's been reported before but today the Voyager team at JPL made it official. The Voyager team estimates that the craft entered interstellar space in August, making it the first human-made object to venture into interstellar space. 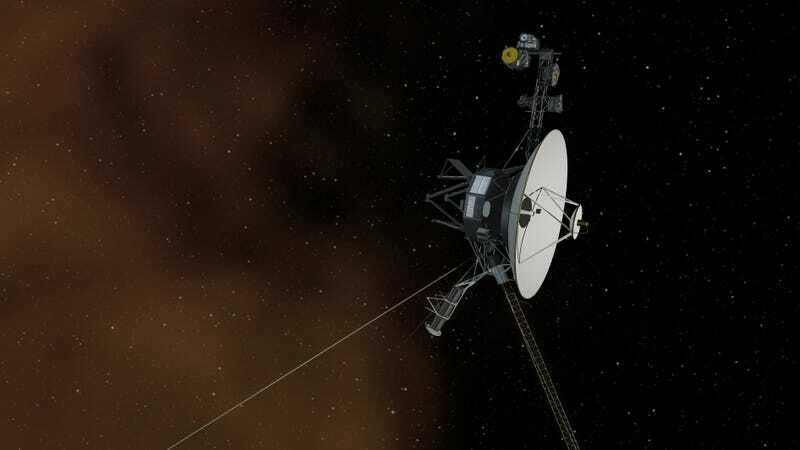 Voyager has boldly gone where no probe has gone before, marking one of the most significant technological achievements in the annals of the history of science, and adding a new chapter in human scientific dreams and endeavors. Perhaps some future deep space explorers will catch up with Voyager, our first interstellar envoy, and reflect on how this intrepid spacecraft helped enable their journey. Scientists are not certain when Voyager 2 is expected to cross into interstellar space, but they believe it is not very far behind.